When everyone is going gaga about dilli ki sardi, let me confess I don't really like winter. Winter was good when I was in college and the food department was mom's job. Winter back then meant studying in warm quilts, having coffee and hot snacks sitting in the sun in college, all covered going for evening walk with my bestie and mom serving delicious hot food right infront me.Now I'm a mom..leave alone work, these days getting out of the bed in the morning seems like a warfare preparation. Thus, no big winter chill fan, I enjoy the weather for it makes us bring out the brightest clothes and the deepest makeup out...WITHOUT hesitation. 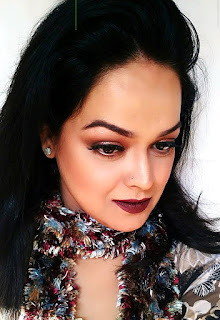 Lately, I've been going all deep and bold with my lips and nails since I end up wearing so much black in winters somehow or the other that a pop of colour is much needed. Often Christmas is synonymous with Red colour,be it the attire or makeup. 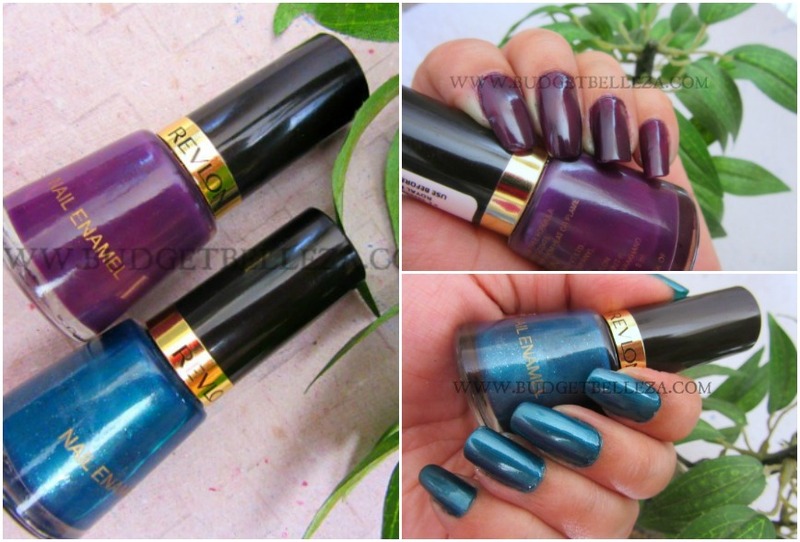 But these nail paints from Revlon will make one come out of the box and try blues,greens and purples for the very mentioned pop!!! 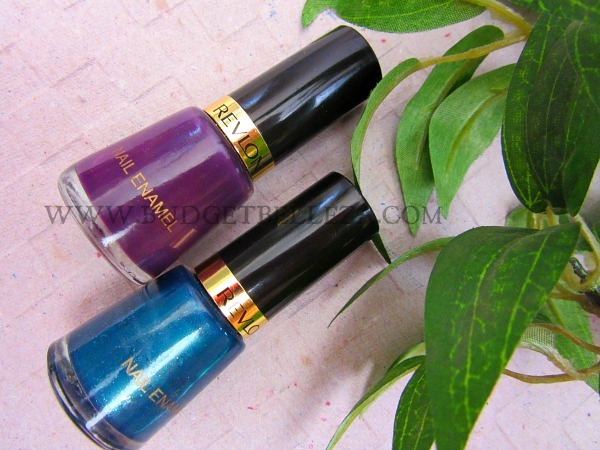 Revlon Nail Enamel with Chip Defiant Formula for flawlessly smooth, gorgeous color. Streak-free flawless application. Provides a protective fast drying finishing coat to nail enamel. Looks in color, offering superior shine and chip resistance for up to 9 days. Formaldehyde & Toluene free- less irritating. No bubbles, no streaks, no brush marks. Unique double barrel brush for smooth, even and precise application. Gorgeously smooth, chip-resistant nail color. Apply favorite Revlon Base coat. Apply two coats of Revlon nail enamel and let dry. What I dislike is that it takes a comparatively longer time to dry and being a mom of two I find sitting pretty and drying my nail paint a sheer luxury ;) Secondly, when you try to take it off it bleeds REALLY bad and spreads all over your fingers. So keep tons of remover and cotton handy for the same!! 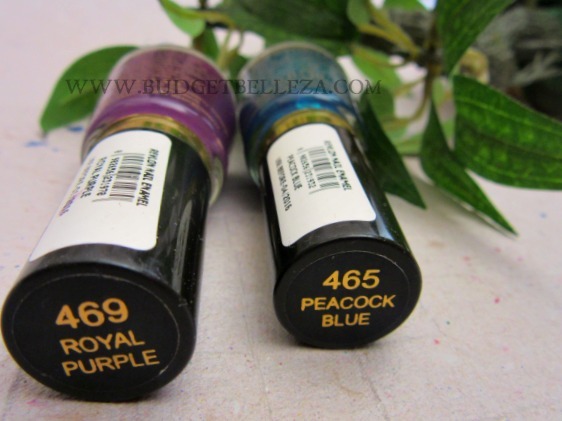 To begin with , Royal Purple was the shade I was more excited to wear and because I got this, I paired it up with Peacock Blue to get two. The shade in the bottle is what I love more than that on the nails. Its a more pleasant purple..more vibrant even though it is deep. 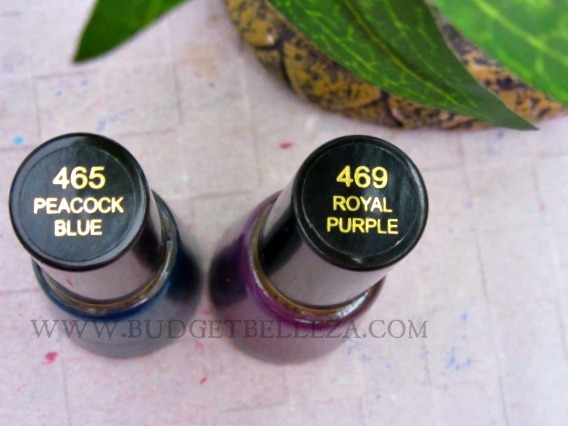 Let me admit, I'm not really pleased with this pick because firstly it is too sheer and the effect is that in order to pack pigments onto your nail you have to apply several coats of it and thus you go on turning a beautiful purple to a patchy deep purple. It takes longer to dry than Peacock Blue which is a dud thing. Even multiple coats do not provide a seamless opaque finish and despite the multiple coats the chipping starts the third day.The glossiness also goes off in two-three days. All in all more cons than pros!